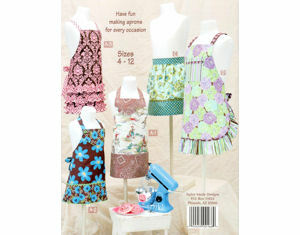 Little Retro Aprons for Kids Patterns from Taylor Made Designs. 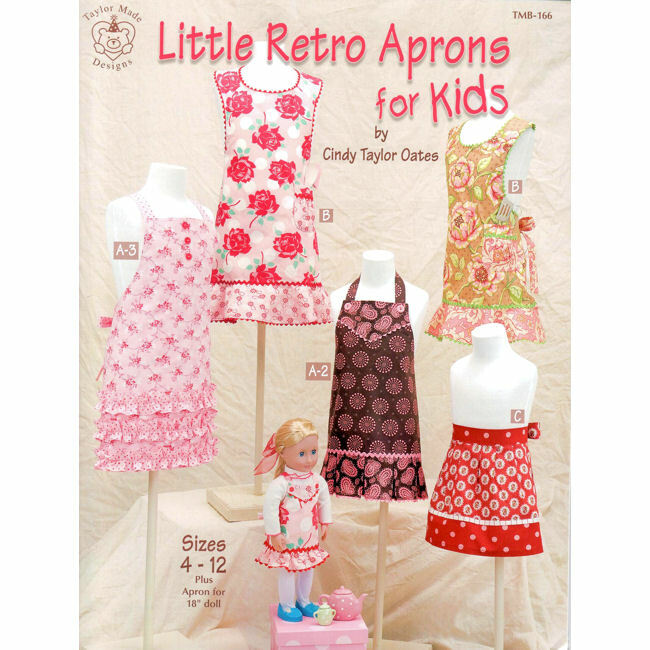 The Little Retro Aprons for Kids Pattern Book from Taylor Made Designs includes full size patterns and instructions for 4 apron styles with variations plus a doll size apron. Patterns are folded inside a 12 page softcover book. Pattern pieces are printed on quality paper stock for lasting value. Child's Sizes 4-12. Doll Size fits 18" doll. Children's apron patterns designed by Cindy Taylor Oates.